So are you planning a trip to Italy and want to operate amateur radio ? Very often I receive emails from foreign hams asking for repeater list, licensing polices or just asking if it is possible to take their own ham radio equipment for their holidays in Italy. If the country of which you are citizen have an amateur licensee has entered into a bilateral or multilateral reciprocal operating agreement with the C.E.P.T. Countries you will no need any additional permission. C.E.P.T. is the abbreviation of European Conference of Postal and Telecommunications Administrations.Â C.E.P.T. provides ham radio licenses that permit hams to operate from many european countries without obtaining an additional permit. Just bring with you your ham radio licence, a valid passport or ID Card. If your country does not fulfill the C.E.P.T. agreement, you should contact directly the Ministero dello Sviluppo Economico, Dipartimento Comunicazioni, and ask them for a reciprocal permit. You can use mobile and portable operations. If you will stay longer than 90 days, you should apply for a local license. 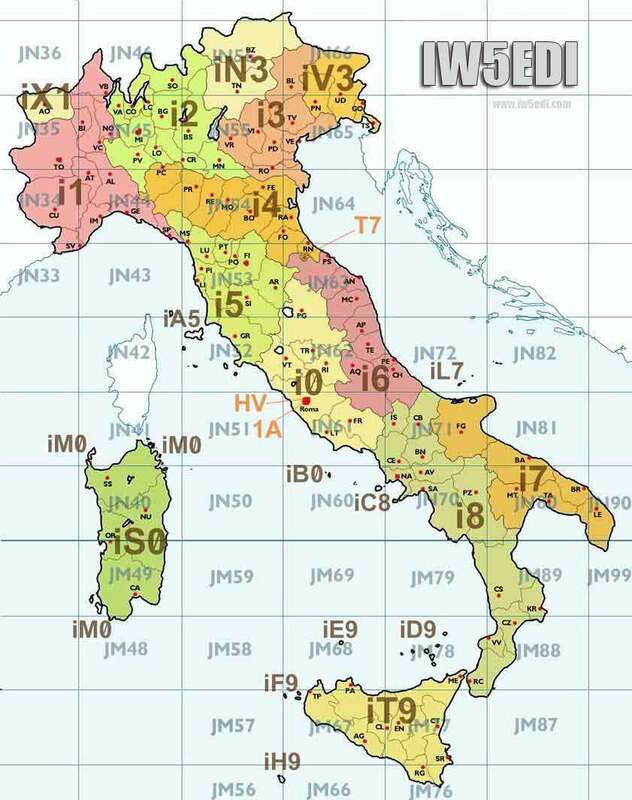 Since 2005 in Italy is available only a Class of Amateur Radio licenses (full license), and morse code is no more a requirement. Thank you for your helpful website. I am on holiday in southern Tuscany, near Mercatale-Cortona and can hear a repeater on 145.60. You say a Tone is required, is that just a 1750Hz tone or is a CTCSS tone also required for this repeater? If so, which tone? Also, is the call sign prefix “I5” correct before my call-sign G8DMS/P? Hello Simone, I found out about your blog when I was collecting information from Florence. My wife and I are going to stay a few days in your city from next thursday (April 17th). I’m a brazilian ham radio (call sign is PU1OPA) and I was wondering if I can take my TH-F6 tri-band handheld with me for some QSOs in 2 meters in this amazing city. I’m really searching abou this subject but there are few information about this on the internet. I would appreciate if you could send some light on it. Brgds! 73 !! FÃ¡bio. Sure.. 145.750 -600 shift .. R6 Monte Secchieta by ARI Firenze. Thank you for explaining that, especially the correct prefix to use! The map is very helpful too. So IÂ´ll be working as I5/OE9TKH/P near Venturina by mid August. Thanks for your excellent info, Simone. On your helpful prefix map I miss the Pelagie Islands (AG) IG9. Hello. I went to ARI.IT to look for the process that get an Italian amateur radio license. I was not able to find a link for the application process. I currently hold a USA Amateur Extra class license. Can you help me out? ARI.it is not the proper web site, since it’s a private association. You might refer to Ministero dello Sviluppo Economico e Comunicazioni, that is the governament department in charge of this topics.